Oral Thrush – This is an overgrowth of naturally occurring fungus, which usually happens when the immune system is depressed. Babies, denture wearers, patients with cancer, HIV and other immune-stressing conditions, are more vulnerable to this ailment. Canker Sores – Another possible cause of white spots are canker sores. You may notice white spots on the tongue surrounded by red halos. Some of the common causes are viruses, bacteria, immune system issues and tobacco use. Leukoplakia – The white spots could also be the result of leukoplakia, which is more common among people who chew tobacco. Patients who suffer from this condition are usually more susceptible to oral cancer as well. Hairy Leukoplakia – If the spots are also somewhat fuzzy, the problem may be hairy leukoplakia, a condition that can lie dormant for a lifetime and then flare up when the immune system is weakened. Should You Visit Your Dentist? If the white spots don’t go away within a week, then you should reach out to your dentist in Summerlin to schedule a visit. Your local professional will be able to determine the exact condition you have so that you can receive the most effective treatment. One of the main culprits of many dental problems is the bacterium. 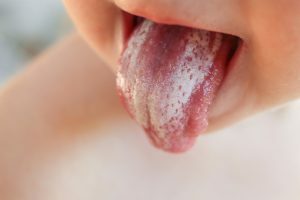 It multiplies rapidly when it has a steady source of food to depend on and can cause a ton of problems – one being the development of white spots on your tongue. Practicing Excellent Oral Hygiene – Brushing and flossing at least twice a day will do wonders for your oral health, as the combination of the two put a huge dent in the number of troublesome bacteria lurking. Healthy Food Choices – Given that bacteria are more attracted to processed and snack foods, a way to fight them is to eat healthier. Whole foods like fruits and vegetables will also fortify your saliva to aid in protecting your entire oral cavity. Visiting Your Dentist – It’s a good rule of thumb to visit your dentist at least twice a year for cleanings and checkups. These visits will ensure that your mouth, teeth and gums are healthy and clean and that any lurking problems are detected before they morph into the issues that leave white spots. To learn more about how you can protect your oral health and prevent this strange condition from developing, reach out to your local dentist today. 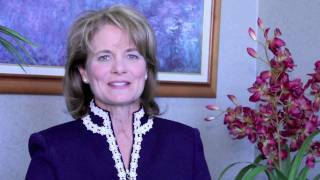 Since earning her dental degree from the University of Southern California School of Dentistry, Dr. Pamela J. West has remained passionate about providing the best care for her patients. To help achieve that goal she has received advanced training from the world-renowned Las Vegas Institute for Advanced Dental Studies. Recently recognized as “Top Dentists” by the residence of Summerlin, Dr. West practices at Summerlin Center for Aesthetic Dentistry and can be reached for more information through her website.